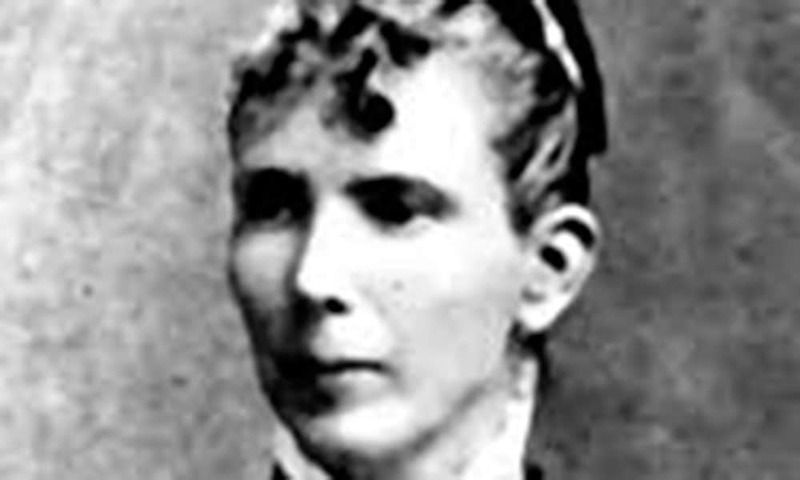 "After what seemed like ages, the curtain went up and Antoinette Adams strode to the footlights..."
In 1865, the manager of the Melodeon Theatre in Virginia City, Nevada, placarded every cliff and signboard on Sun Mountain with posters announcing the coming of Antoinette Adams, the first actress to appear in the town. Enthusiasm was boundless as the red-letter day approached, and an opening night, every bench, corner, and windowsill of the Melodeon was filled. After what seemed like ages, the curtain went up and Antoinette Adams strode to the footlights. Ugly as a snaggletooth dog, she stood nearly six feet tall, with a decided stoop to her shoulders, a long goose neck, watery blue eyes, a large Roman nose, crooked mouth, and faded, frizzed “blonde” hair. This Antoinette was old enough to be their aunt, one man protested, and the laughing audience dubbed her “Aunty” on the spot. Miss Adams’ opening song was “Under the Willow,” a ballad dear to the miners’ hearts. Folding her hands on her breast, she began, but even the Washoe “canaries” sang better. Consternation, disappointment, chagrin was on every face. The miners wanted to laugh, they wanted to cry, for they had been taken in and good. As soon as Aunty finished her melody. Hank Blanchard jumped to his feet. “Now, boys, three cheers for ‘Aunty,’” he yelled. The miners rose as a single man. Cheer after cheer shook the Melodeon. When they sat down, not one of them cracked a smile. The braying songstress was so flustered she could not catch her breath. The applause swelled, the miners hollered and whooped, stamped and pounded upon the floor. Half-dollars fell on the stage like a hail storm. When order was restored, Miss Adams, all smiles and blushes, again sang “Under the Willow.” Once more there was wild applause followed by more half-dollars raining upon the platform. Aunty looked out over the coal-oil lamps at her feet and tried to sing, but exertion and the light mountain air were telling on her voice and lungs. “Aunty! Aunty! Give us Aunty!” the miners yelled. Miss Adams came out panting, beaten but determined to requite her admirers’ passion. She tried to sing but was so short of breath that all she could manage was a high-pitched wheeze. Out she backed, smiling and throwing kisses, while yet more half-dollars flooded the stage as the curtain fell. The men still clamored for Aunty. The manager shook his head. At last, the miners stood up and filed out into the night. Next morning’s stage carried their Aunty and two sacks of half-dollars down Sun Mountain. It was enough to last the rest of her natural life even if she never sang “Under the Willow” again.